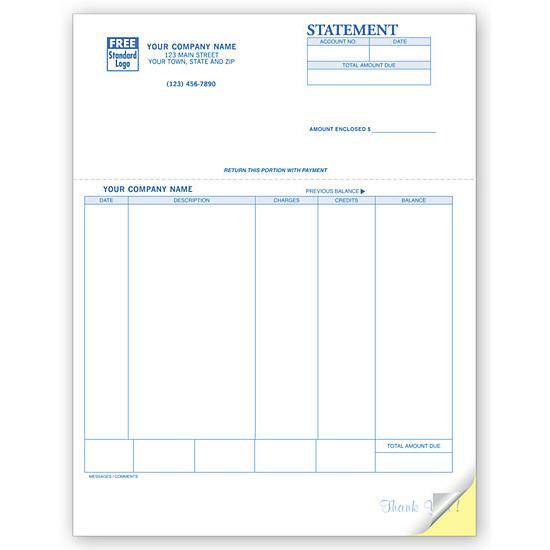 We provide a variety for carbonless or carbon copy forms that can be printed on your laser printer and are compatible with an accounting software like QuickBooks. 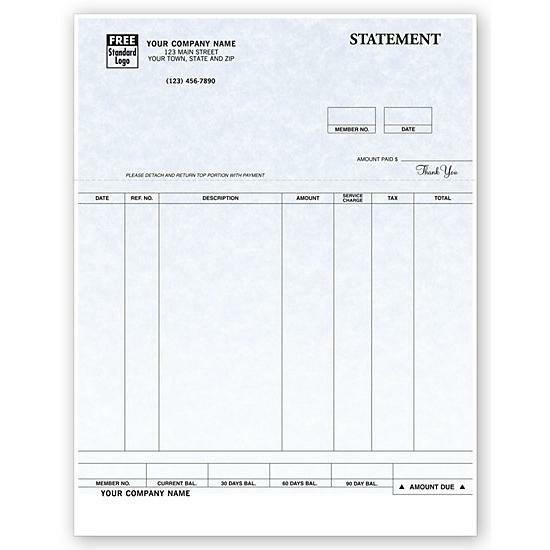 These are forms used as invoices and account statements. 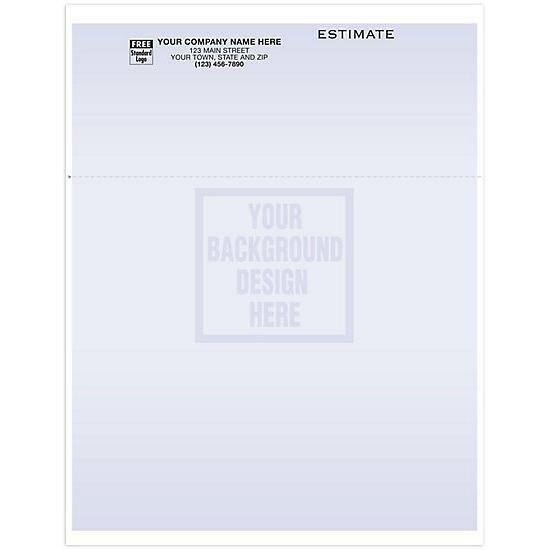 Select from plain white paper or a professional parchment texture finish. 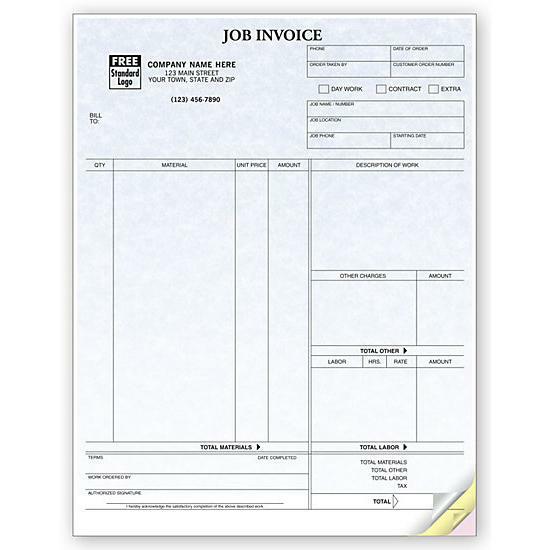 Easily create invoices for the sale of products, services rendered or use the multipurpose forms for other purposes like statements. 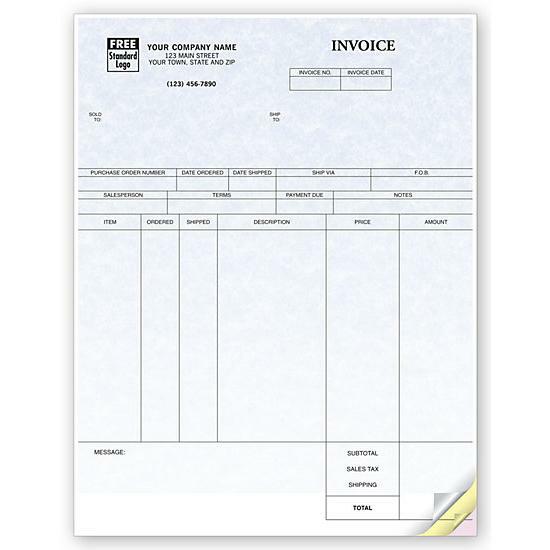 What are The Elements of a Laser Printer Invoice? 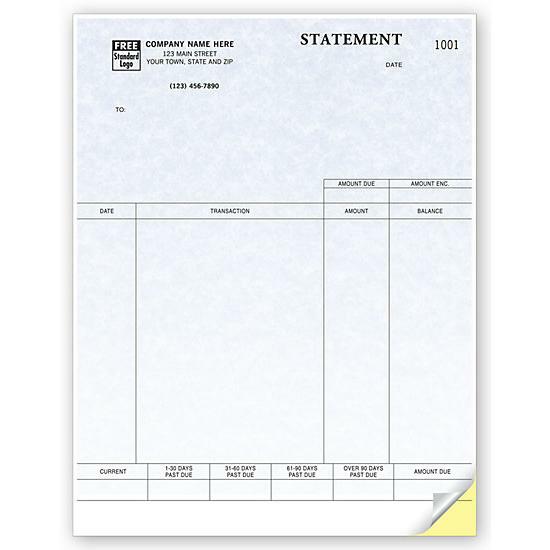 A laser printer invoice can be printed on forms made of 1-Part/Original, 2 Parts/Duplicate, 3-Parts/Triplicate, or 4-Parts/Quadruplicate. 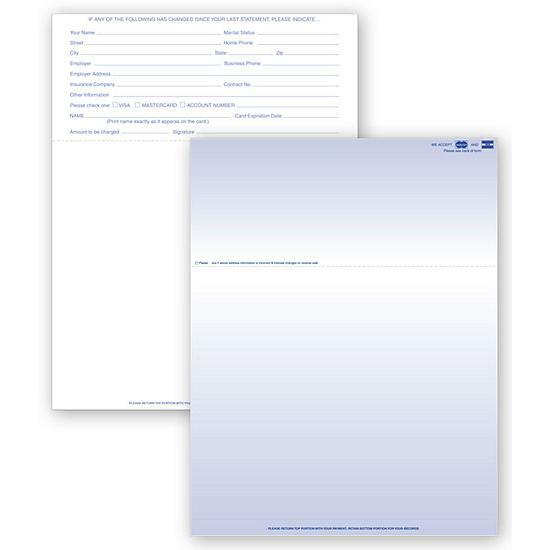 The top left section of the form can be personalized with your logo, business name, and contact information. 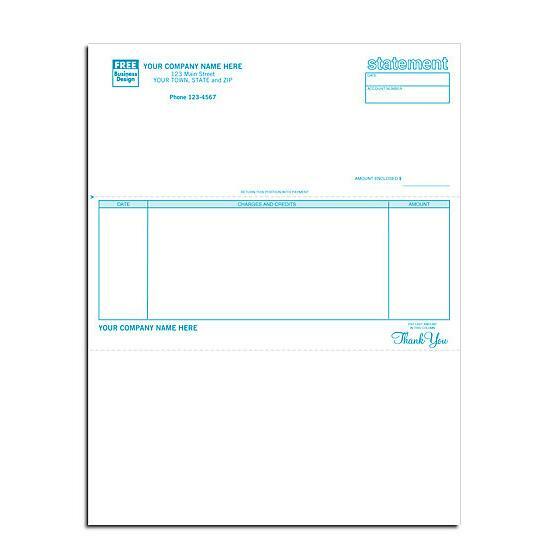 Then you have areas for the date, invoice number, the bill to and ship to sections. 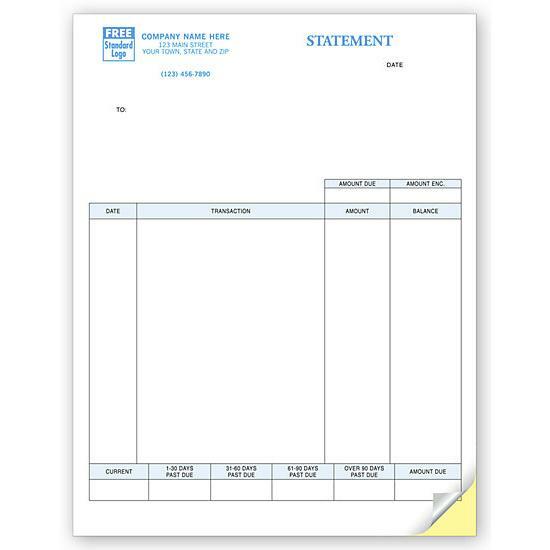 Below that, you have columns for quantity, item code, description, price, and amount. 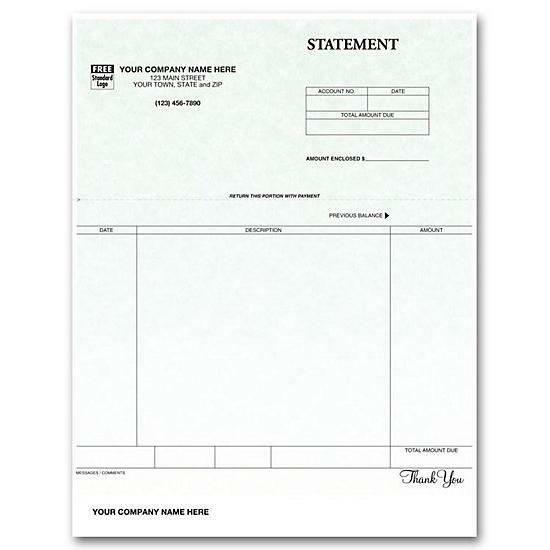 These forms were designed specifically to be printed on your laser printer for invoice and billing purposes. Select the one that best for you. Some are compatible with both laser and inkjet printers. 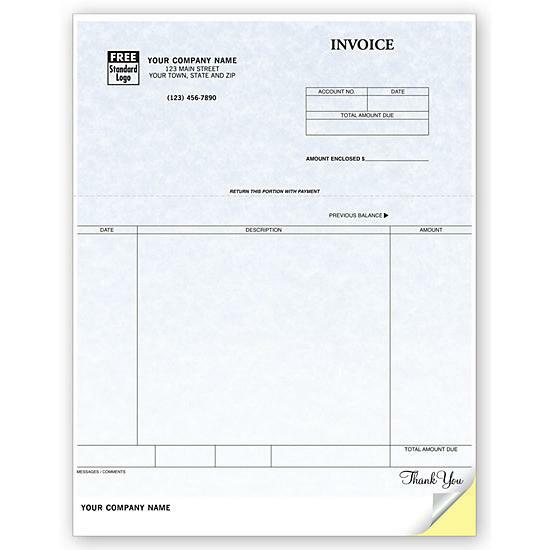 How to Choose The Correct Invoice For Your Laser Printer. 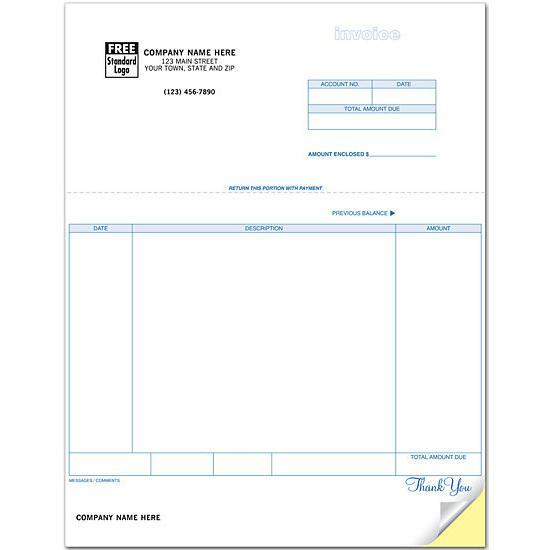 We make it easy to choose the right invoice form that is compatible with your accounting software and laser printer. First and foremost, every form has a unique item number to reference. You can contact us if you have a specific question. We tell you in the description area, the name that each form is compatible with so you know if you are selecting the right form or not. The software compatibility options are Accpac Pro Series, Clip, Form Magic Deluxe Version 2.0, One-Write Plus, Peachtree by Sage, Peachtree Versions Prior to 2006, QuickBooks, Sage MAS 90, MAS 200, and Sage Software. They can be printed on just about any laser printer but some of the most common ones are made by HP, Brother, Samsung, Epson, and others. 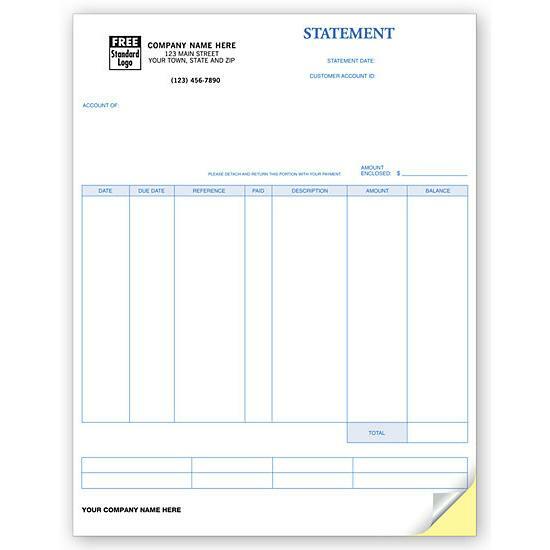 Business forms compatible with your computer software, invoices, account statements & multi-purpose forms. 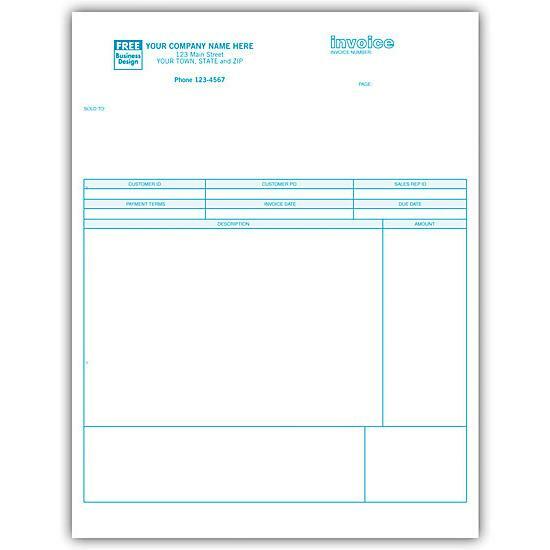 Carbonless Copy - Single sheets, Duplicate(2parts), Triplicate(3 parts) & Quadruplicate (4 parts). Easily printing with your laser printer. Custom printed & personalized with your business information. 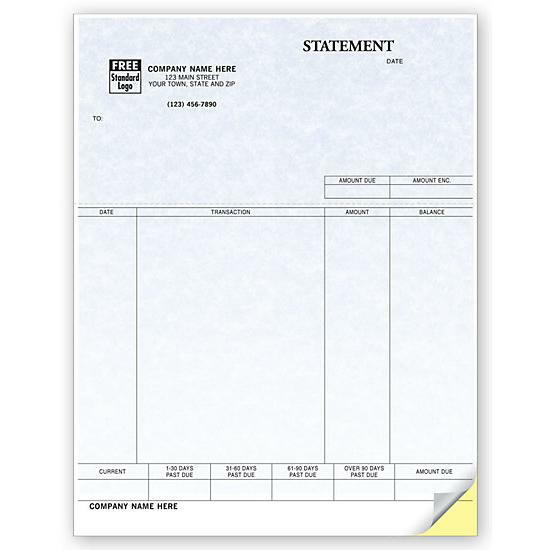 Compatible with QuickBooks, Quick Invoice, Peachtree, Form Magic Deluxe and many others.